La Liga giants Barcelona seem to find themselves in ‘double-trouble’ at the moment, as their star man, Neymar, looks set to make a switch to PSG, while his replacement in the form of Liverpool talisman Philippe Coutinho could be off the table, as Liverpool have refused to sell him at any price. 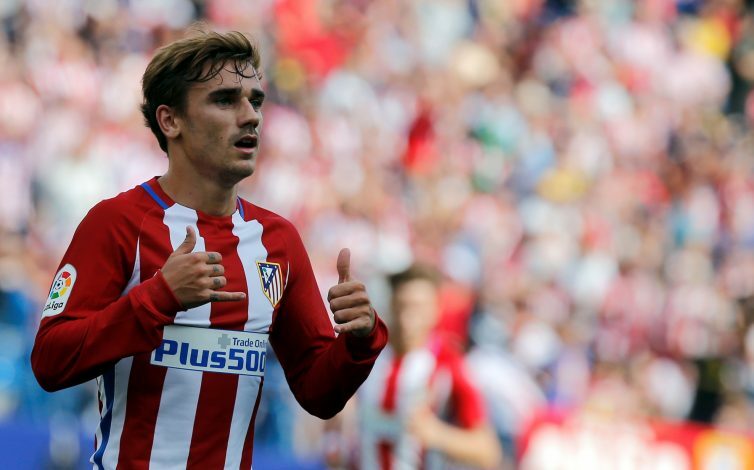 Being forced to look for another top quality forward, Barca are reportedly considering a move for Atletico Madrid talisman Antoine Griezmann. However, the major obstacle that lies in that path for manager Ernesto Valverde the fact that Los Rojiblancos had doubled the Frenchman’s release clause when he signed a new contract with the club earlier this summer. The 26-year-old was heavily linked with a move to Old Trafford, but when Atletico’s transfer ban was upheld after a failed final appeal, Griezmann pledged his future to the Spanish giants, by penning down a new contract that increased his weekly salary, but the €100 million release clause remained the same. But now, as per reports from Catalan paper Sport, it was claimed that the contract also protects Atletico specifically this summer, and that the €100 million release clause for the Frenchman is currently €200 million (£177 million). Barca are reportedly unwilling to pay the gigantic buy-out clause for Griezmann, though, but Ernesto Valverde could still offer his La Liga rivals a figure close to the proposed value. It would imply that Blaugrana could be on the road to spend nearly all of their Neymar cash on bringing in Griezmann, if the player is willing. Nonetheless, the newly emerged interest in the France international could fade away if Barca end up deciding against spending a sum that would be double the worth of Atletico’s star man.